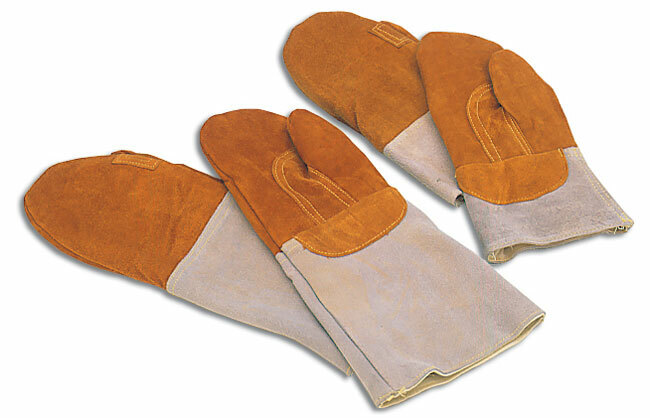 For heat protection made of leather. Can be used up to 572ºF. Oven mitts with forearm protection.